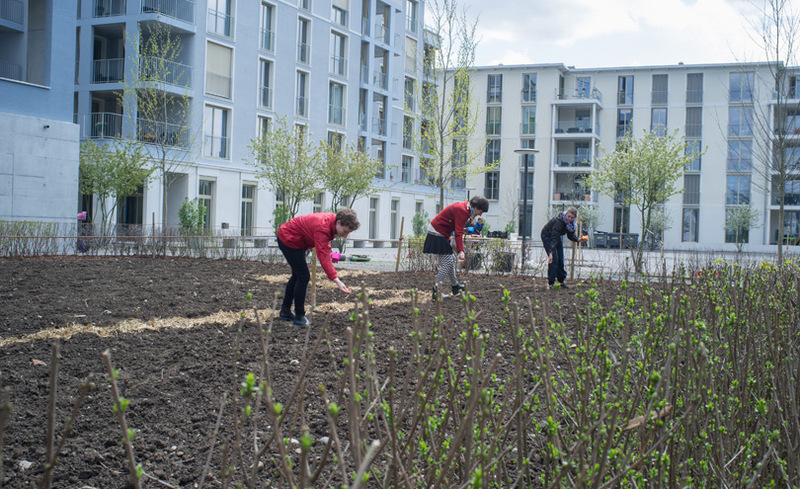 This is one of the largest and most ambitious cooperative housing programmes in Europe, resulting from a collaboration between 50 different cooperatives. Thirteen buildings with nearly 400 housing units, 35 retail units and large shared community spaces and neighbourhood infrastructure (kindergarten, day care centres, etc.) provide environmentally-friendly homes for people from a wide range of backgrounds and income levels. The project promotes social diversity throughout, from the architectural design to the allocation of tenancies. ‘More than Housing’ is a large housing cooperative development that seeks to anticipate the future needs of its community and design buildings and ways of living that meet them. The building is designed to use as little energy as possible but it also promotes sustainable lifestyles with low car use and low heating demands. This helps residents work towards the 2000 Watt society model that the City of Zurich has adopted. The 2000 Watt society is an environmental vision originally promoted by the Swiss Federal Institute of Technology. It seeks a reduction of individual energy use to a level that would be supported by the continuous running of a 2,000 watt generator. Average energy use is currently about 5,000 watts per person in Switzerland. The City of Zurich has signed up to a target that would see its citizens meet the 2,000 watt level by 2050. The development is built with the changing make up of households in mind. It is designed to provide homes for households of all types including older people, single person households and traditional nuclear families. The development has apartments of different sizes and incorporates common spaces and rooms that are designed to be relevant for different demographics and family types. Thirteen buildings with nearly 400 housing units, 35 retail units and large shared community spaces were completed between autumn 2014 and summer 2015. The project was completed at the end of 2015 with all housing units and 90% of retail spaces rented out. In 2016, 1,200 residents and 150 employees live and work in the buildings within the project. 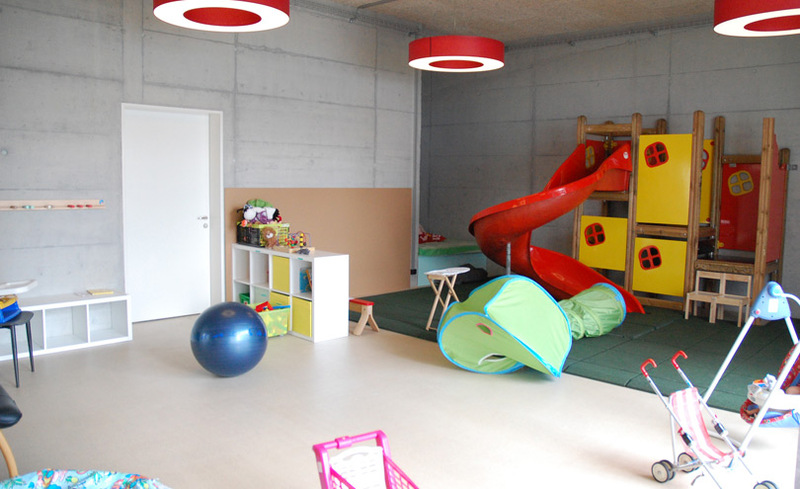 Cooperatives in Switzerland aim to operate according to the principle of “helping people to help themselves”. The ‘More than Housing’ development was based on this tradition. Other objectives included creating a community that embraced households and families of all types. The ethos is a community open to all, especially those in need of affordable housing and affordable working space. It also sought to promote an ethos of initiative-taking and self-organisation in basic democratic structures and to put into practice the vision of a 2000 Watt society. The Swiss population is aging fast. Switzerland has one of the highest life expectancies and one of the lowest birth rates in the world. This has led to an increasing population of elderly people many of whom are single. As a result, the make-up of Swiss households is changing, with more single person households and more older people. Zurich has a large cooperative housing sector. More than 25% of all homes in the city are not-for-profit. The majority of which are owned by housing cooperatives. But for many years during the late twentieth century the construction rate in the city was extremely low. The situation caused market priced housing to soar in value and many people were priced out of the city. In 2011, there was a local referendum in which the city voted to increase the proportion of not-for-profit housing to 33% by 2050. In order to achieve this, the local authority released a number of sites for the development of low cost housing. The area of Hunziker Areal, where ‘More than Housing’ is based, was one of the sites released. It was a large four hectare site on the northern edge of the city. The land was waste ground next to a recycling plant. It was generally considered to be an unfashionable district of the city. The nature, location and size of the site made development high risk. No single cooperative was able or willing to develop the site by itself. However, a consortium of 30+ cooperatives came together to form ‘More than Housing’. Participation is at the core of everything that ‘More than Housing’ does. A ‘dialogue process’ was introduced at the beginning of the design of the building and continued through development and into the operation and management of the completed buildings. The design, for example, was decided through an architectural competition, which resulted in focus groups where not only the jury and the winning teams participated but also future residents, neighbours, the founding cooperatives and local authority representatives. Up until the construction began in 2012, the feedback and visions of the participating parties were taken into account. Specific open spaces and parts of the surrounding area where deliberately left unfinished when people moved in, so they could be adjusted when residents were in a better position to see how they wanted the spaces to be used. 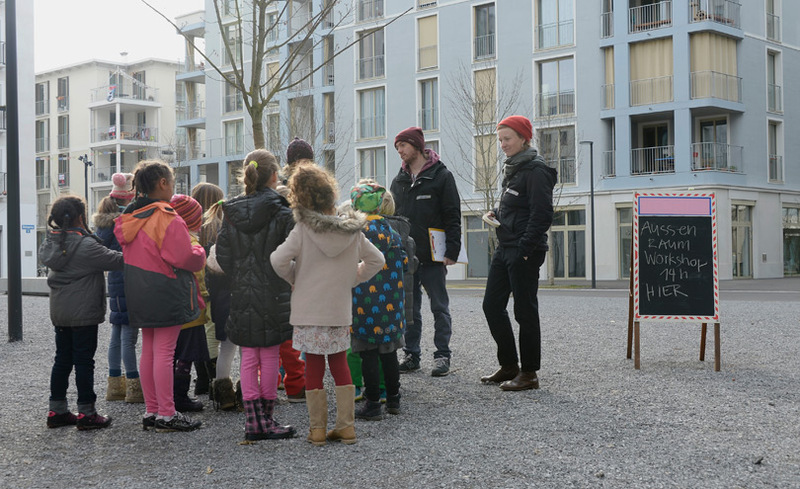 All tenants are invited to play an active role in shaping the neighbourhood. Ten non-commercial common spaces are available for them at no cost. 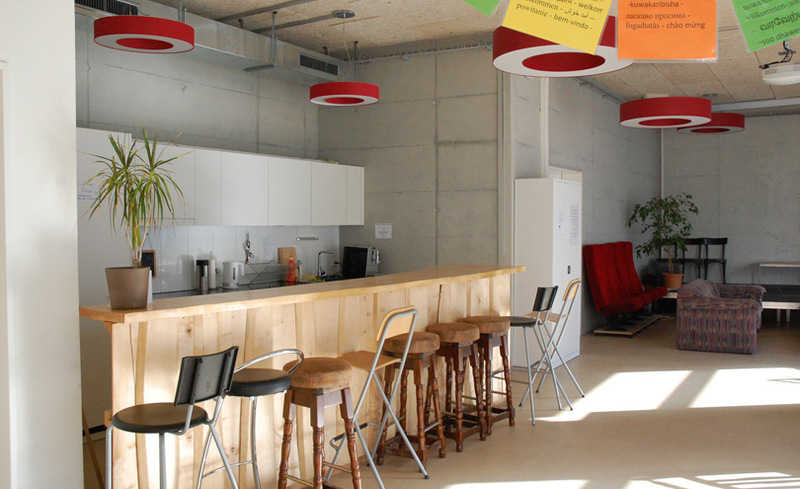 Additionally, an annual budget of approximately CHF 80,00 (USD $83,000) from the solidarity fund is at the tenants’ disposal for community initiatives, such as farming and communal gardens, establishing a grocery shop, café, swap shops, dancing and yoga classes. This fund is raised by contributions from residents. Currently, over 40 groups are registered with and supported by ‘More than Housing’. 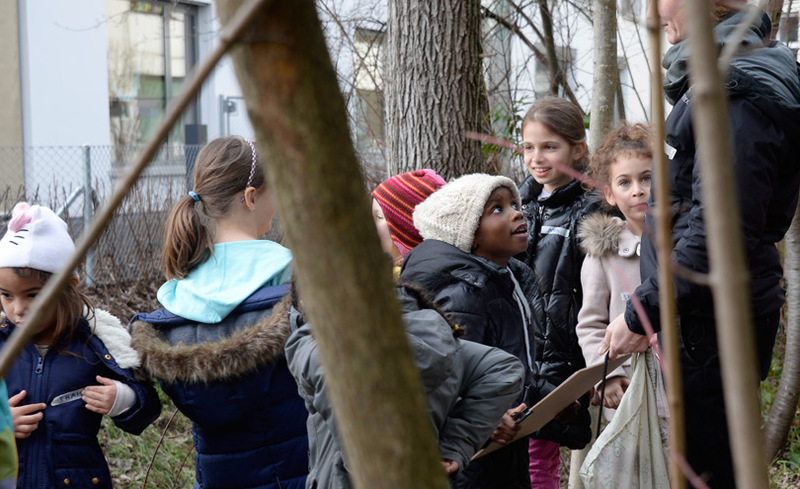 In addition, close relationships and joint initiatives with the nearby school and other social networks in the north of Zurich such as a youth work project have been established. ‘More than Housing’ was itself conceived as an innovation. This means that it is used to test various research projects such as the 2000 Watt society. The development was financed with equity provided by the founding members, loans from the City of Zurich, national funds for cooperative housing and commercial bank loans in total amounting to CHF $195 million (USD $202.5 million). ‘More than Housing’ believes it is on target to repay the loans ahead of the due dates. The cooperative is based on not-for-profit principles. This means there are no commercial shareholders and there is no payment of surpluses to members other than paying interest on members’ equity. Almost all the income is obtained from rent. This income has to cover repayments on the development loan and running costs as well as providing funding for further renovations and infrastructure investments. Apartments are let at rents that are generally lower than one third of household income. The average rent for a four room family apartment is CHF 2000 (USD $2,000) a month. This is about 70 to 80% of market levels. 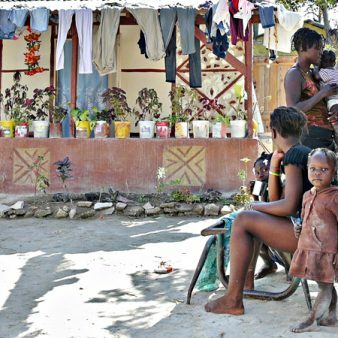 Twenty per cent of households in the development have an income that is below the Swiss poverty level. The rent of these households is subsidised. In Switzerland, a rent cap is imposed on cooperatives annually. Budgets are set and if necessary costs are adjusted to ensure that rents are within the rent cap. This cap corresponds to the amount needed for cooperatives to cover the cost of the financial duties (interest rate, deductions), reserves for renovation and the administrative costs. This is the maximum they are allowed to charge. 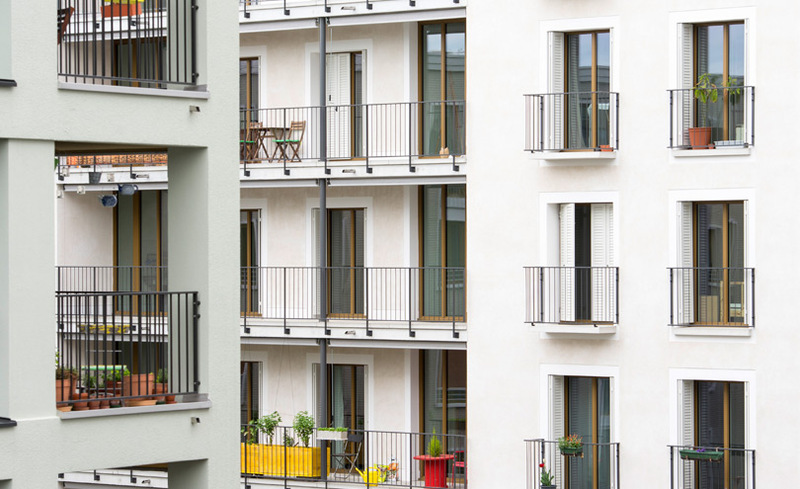 The scale and extent of this project makes it one of the largest and most ambitious cooperative housing programmes in Europe. The environmental features of the development go way beyond legal requirements. The development is the largest 2000 Watt neighbourhood and is an extensive test bed for low-carbon living. The deliberate policy to promote social diversity throughout the project is innovative. The concepts are included in the architectural design (to respond to multiple needs), through to the management to the allocation of tenancies (by engaging organisations working with different underrepresented groups). 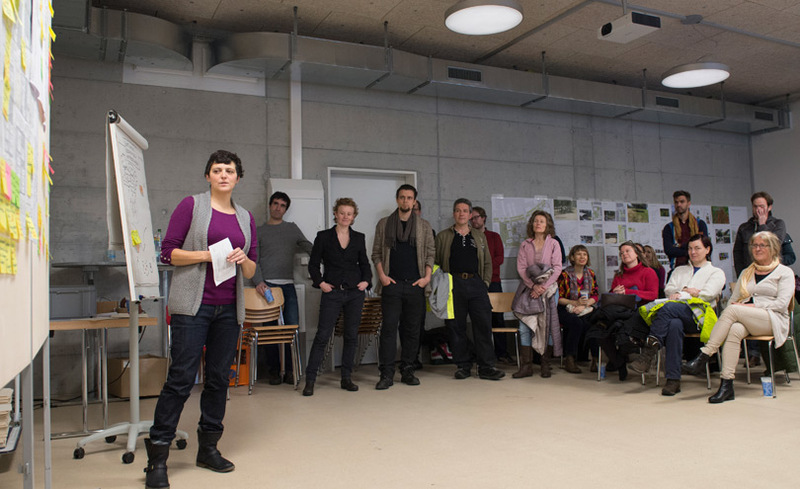 The project brings together the knowledge of traditional cooperatives and new ideas from more recent ones, to produce a complex, experimental new form of cooperative. The building complex is designed to be 2000 Watt compatible. That means the building’s energy use is low enough that people can live in it and reasonably achieve the 2000 Watt target with realistic changes to their lifestyles. So far, the living habits of the residents have not yet reduced to keep energy consumption within the 2000 Watt target but the design and lifestyle initiatives promoted in ‘More than Housing’ have helped to work towards this objective. 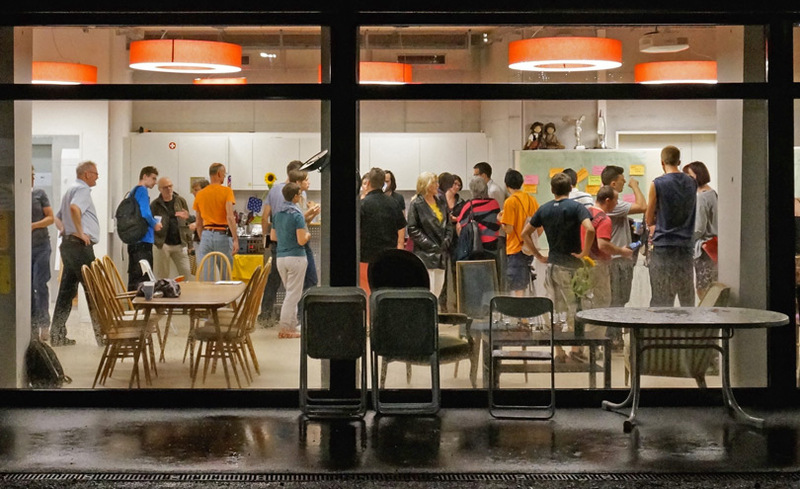 Floor space consumption is 33 m2 per person, this is less than the average in Zurich (42 m2). There are no individual washing machines. 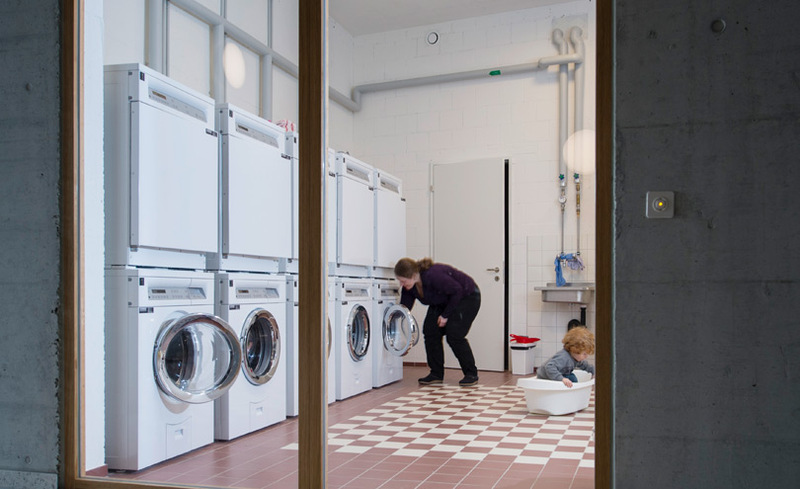 Instead, shared, free launderettes can be found in every residential building, equipped with energy efficient machines. Large private freezers are replaced by centrally located freezer lockers for rent. ‘More than Housing’ generates 45% of its electricity through photovoltaic cells on the roofs. Heating is provided through a district heating system. The building was built with low embodied energy materials. Two houses are constructed entirely from solid wood, one was built with insulating concrete. All the buildings have extremely high levels of thermal insulation. ‘More than Housing’ is nearly car-free and has good public transport, above-average bicycle parking and only 106 car parking spaces for people with disabilities or retail tenants (e.g. bakery employees). Residents do not own cars but use the national car sharing scheme or choose between two electric cars and a bike sharing pool owned and managed by the cooperative. Native trees and bushes improve biodiversity and one house has a vertical garden. Two communal, urban gardens and spaces for herbs are cultivated by residents. The development is financially sustainable. It is on schedule to repay its development loans ahead of schedule. Repayment and operational costs are met by rental income. Every resident becomes a cooperative member and purchases shares. Through this, equity increases over time and the capital stock can be decreased. The development has created 150 jobs, which increases the community’s wealth. Rent is charged at 20% to 30% below market levels creating a saving for those moving from market priced housing. An aim of the development is to create a lively neighbourhood where people like to live, work and spend their leisure time. The development is designed for people from all social strata and of all ages. By exploring the housing needs of the future, ‘More than Housing’ offers space for all kinds of households, from single units, family apartments to large cluster apartments with up to 15 rooms. The project actively approached excluded groups and supported them through activities to facilitate integration. Although the rents are already low compared to the free market, 80 of 370 apartments are additionally subsidised by 20% by public authorities. Ten per cent of all apartments are reserved for charities and non-profit foundations that work with people with disabilities, families with immigrant backgrounds and restricted budgets or children in care. The cooperative structure provides a framework where individuals are empowered to actively participate in and shape their community, which not only creates strong social networks but also provides a safe and appropriate environment. About 65% of the inhabitants haven’t lived in cooperative housing before and have been supported in learning and participating in the democratic structures of the cooperative. With over 300 children under the age of seventeen, a large community of young adults will grow over the next decade with a deeper understanding of ecological and social sustainability and an understanding of shared housing principles. Living in a community promotes social and intercultural integration. Exchanges with your neighbours also include having to learn how to deal with conflicts. One main barrier encountered was the complexity of the development, which was initially underestimated. To develop such a large project with five architectural practices, hundreds of specialist planners, who were asked to be innovative and a contractor under considerable cost-efficiency pressure (to keep the rents low), was a big challenge. As a newly founded cooperative, another barrier was gathering initial funding. The help of the large and long-established cooperatives in Zurich proved to be crucial. They gave credibility to the reliability of the concept and provided the funding for the project development and their long relationships with the financial institutions and the City of Zurich helped secure low interest loans and guarantees. Regarding the social diversity of the inhabitants, the development has a wide spread in backgrounds, income and ages but people older than 70 are underrepresented. The development found that older people needed more time to decide and plan to move into a new community but there was financial pressure to rent all the apartments as fast as possible. They recognise now that they should have reserved more small units for older people to ensure they would have a greater chance of being part of the project. ‘More than Housing’ reserved a part of the site’s four hectares for future developments. This can be an opportunity to adjust the design and allocation of space based on existing and future feedback. A three-year research programme is currently evaluating the development’s contribution to the 2000 Watt society concept. A three-year research programme in cooperation with the Age Foundation of Zurich is evaluating the demographic make-up of the cooperative. A financial evaluation is being conducted with the main contractor Steiner AG. 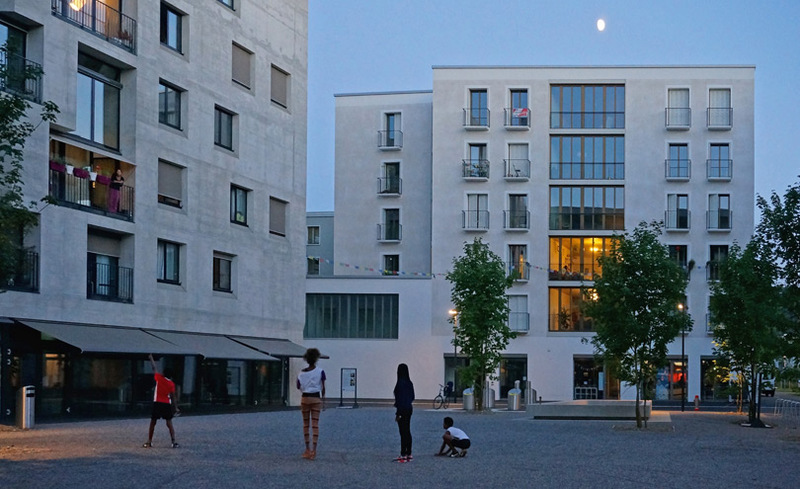 Winner of an Urbamonde “European Community-led Housing Award” 2016 . Best Architects Gold Award for “Mehr als Wohnen, Haus G” . Winner of the Special Price Brick Award 2016 for Duplex Architects Haus A .
Shortlisted for “Auszeichnung für gute Bauten 2011 – 2015“ City of Zurich (winners yet to be announced). There is a series of publications on the Mehr als Wohnen website (go to Medienspiegel) in German, and the project has also been captured on TV and in films . The cooperative offers guided tours for groups and individuals. Since May 2015, more than 3,300 people have visited the site. Most of them are from Switzerland but they have had visitors from all over the world. 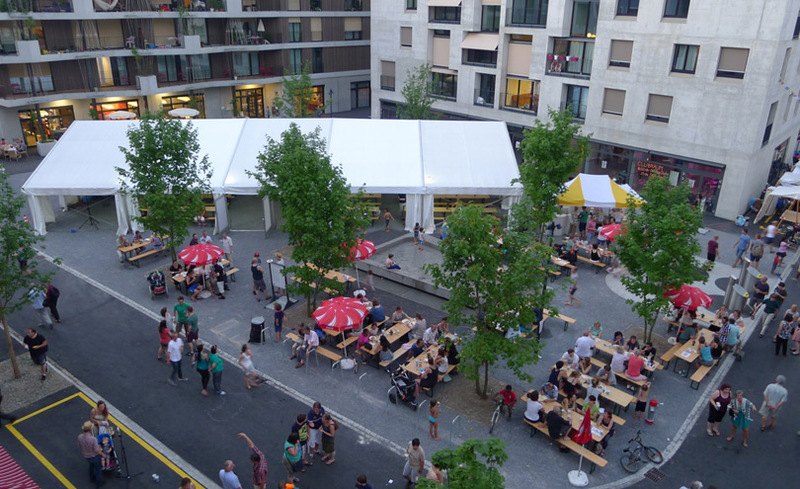 The establishment of ‘More than Housing’ was an important trigger and had a large impact on the development of the north of Zurich into a sustainable, lively new part of the city. Several construction projects started in the area, which was previously just an unattractive waste land, with similar aims and run by cooperatives or public authorities e.g. 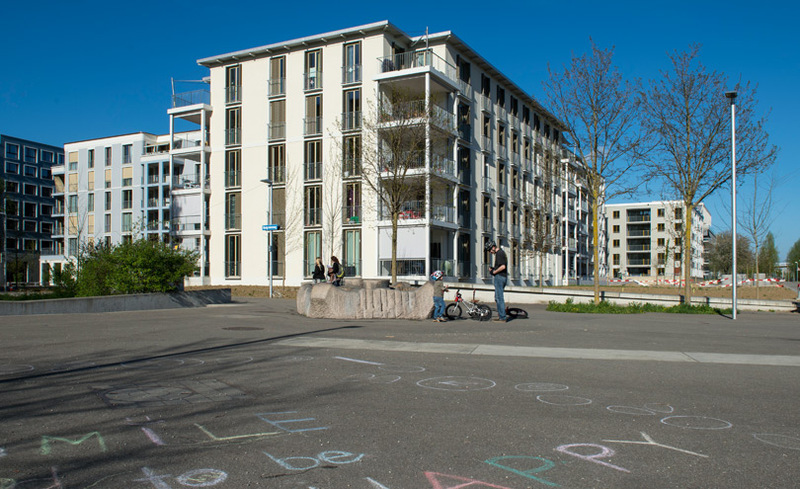 “Leutschenbach Mitte” by the City of Zurich or “Thurgauerstrasse West”, a cooperation between the City and cooperatives.